i received a copy of this movie for review purposes, but all opinions are 100% my own. when we do decide to watch a movie, it always seems like it is a long process to find a movie that looks interesting, but doesn't have a lot of inappropriate language, dress, etc in it. sometimes we will look through 30 movies and end up getting frustrated and not watching anything. other times we will find a movie, but it is not always that great of one. 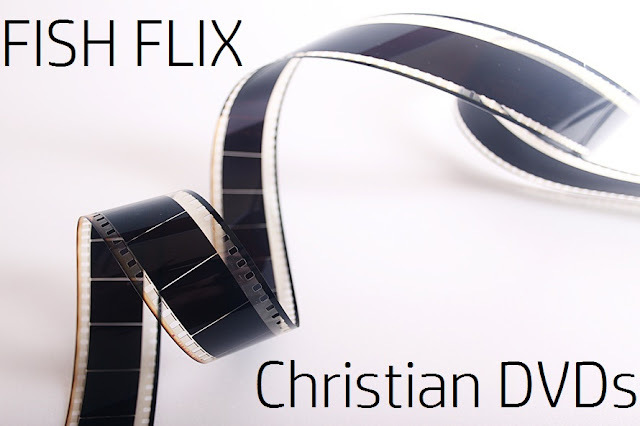 enter Fish Flix, a movie website that offers Christian DVD's that the whole family can enjoy. i really like that Fish Flix has wholesome feature films, because a lot of times we will end up watching a kid movie just because we know it's "safe". but we definitely get tired of kid movies all the time and want to watch something else. we recently watched the Return to the Hiding Place DVD from Fish Flix, and it was one of the best movies we have seen in a while! the thing i love most about Fish Flix is that the whole website is full of movies we would love all in one place. so instead of checking out three different places for a movie and maybe finding one, we know we can go to the website and choose any of the ones available. also, right now you can get a $5 coupon to Fish Flix if you join their email list. you can join by visiting www.fishflix.com/5gift or by texting 5-GIFT to 44222.
what movie on Fish Flix do you think you'll watch first?